Nine senior lawyers who along with three others were appointed amici curiae by the Supreme Court to give their opinions on the 16th Amendment to the Constitution establishing parliament's power to remove SC judges suggested scrapping the amendment. On the other hand, one amicus curiae -- Barrister Ajmalul Hossain QC -- talked in favour of the amendment while two others -- Barrister Rafiqul Haque and ex-Law Minister Barrister Shafique Ahmed – did not place any deposition. 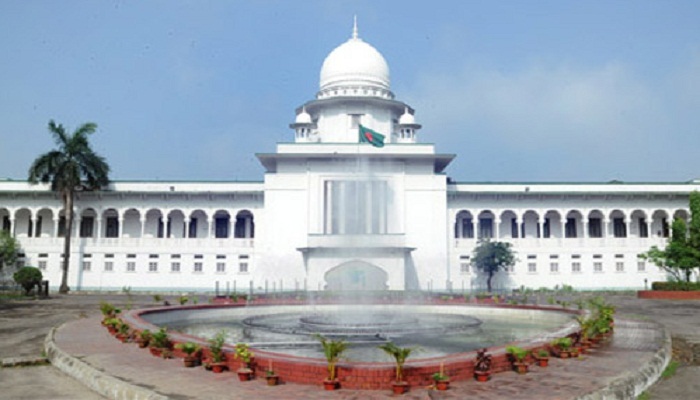 The nine amici curiae who recommended upholding the High Court order declaring the 16th Amendment to the Constitution illegal are Dr Kamal Hossain, former Justice TH Khan, Barrister M Amir-ul Islam, Barrister Rokanuddin Mahmud, AF Hasan Arif, former Attorney General AJ Mohammad Ali, Barrister Fida M Kamal, MI Farooki and Abdul Wadud Bhuiyan. In their statements before a seven-member Appellate Division bench, led by Chief Justice SK Sinha, the senior lawyers said it will not be right to empower parliament to impeach the SC judges. Meanwhile, Awami League Law Affairs Secretary Abdul Matin Khasru, also a former Law Minister, spoke on behalf of the 16th Amendment as an intervener on Tuesday. Attorney General Mahbubey Alam and Additional Attorney General Murad Reza stood for the state during the hearing on the 10th day. The hearing on the appeal filed by the government against the HC order will come to an end on Thursday with the state placing the counter-arguments. On September 17, 2014, the Jatiya Sangsad passed the 'Constitution (16th Amendment) Bill, 2014' without any opposition, empowering Parliament to impeach judges of the Supreme Court for their 'incapacity' or 'misconduct'. Nine Supreme Court lawyers filed a writ petition with the High Court on November 5, 2014, questioning the validity of the amendment. On May 5 last year, the HC declared the 16th Amendment to the Constitution illegal. The government on January 4 last filed an appeal challenging the HC decision. On February 8, the SC appointed 12 senior jurists as amicus curiae seeking their opinions over the legality of the amendment. The Constitution drafted in 1972 had given the MPs the power to impeach judges and decide their term in office. But after the Fourth Amendment in 1975, the power was vested with the President.